Did the ghost of evil still hover over Clougy House? Soon after Sarah Hamilton stepped into her new home as the bride of charming, enigmatic Jon Towers, a cold shock of instinct warned her to run for her life – too many ‘accidents’ were beginning to plague her. Clougy had seen violence when Sophia, Jon’s first wife, mysteriously fell to her death from a cliff. Now someone was trying to kill Sarah, to keep a ghastly secret. Was it Jon’s beautiful, tormented cousin, Marijohn who had sought refuge in a convent after Sophia died? Or his son Justin who was out on the cliff the night his mother fell? Or his old friend Max, who seemed to be confusing the two Mrs Towers? Or was it Jon himself, panicking because Sarah was getting too close to what really happened that terrible night…? 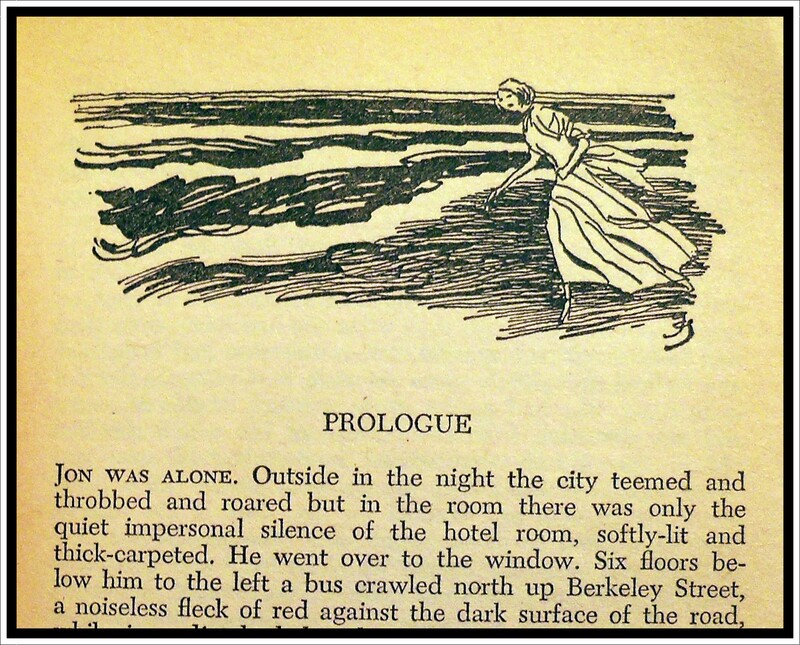 THE DARK SHORE is filled with the ingredients that made a bestseller out of Du Maurier’s Rebecca. Written by Susan Howatch. Copyright 1965 Ace Books. A story with echoes of Rebecca, based on the love triangle between a rich, successful man with a past, his newly wed, innocent bride and the spectre of his first, much sexier wife – who may or may not have been murdered by him. Jon Towers, a Canadian property millionaire, has returned to Britain to patch things up with his son Justin. Recently married to Sarah, he has not set foot in the UK since the untimely death of his first wife Sophia, who fell (or rather was pushed) over a cliff at their Cornwall Home, Clougy, some ten years ago. Told from multiple viewpoints, the first part of Dark Shore brings together the same six characters who were present at Clougy that fateful weekend Sophia died. Each has a secret and a reason for wanting her dead. One by one they are reunited at the same isolated farmhouse where Sophia was killed – much to the increasing alarm of Jon’s new wife Sarah. She is already feeling trapped under the shadow cast by the violent death of her husband’s first wife and the more she learns about what happened to Sophia, the more she fears she could be heading for the same fate. But why would anyone want to kill her? For a short book, Dark Shore packs in a fair amount of gothic suspense, with hidden motives, dark secrets and all sorts of skeletons falling out all kinds of closets (though not literally unfortunately). I particularly liked the mysterious relationship between Jon and his ‘cousin’ – the beautiful telepath Marijohn. Susan Howatch has enjoyed considerable success with her gothics. She began writing from an early age and submitting work for publication as a teenager. The Dark Shore is her first novel, published when she was in her mid- twenties. I have quite a few of her books and I think her writing works best in the longer novels, where she has room to explore the development of her characters and the impact of their actions on those around them. 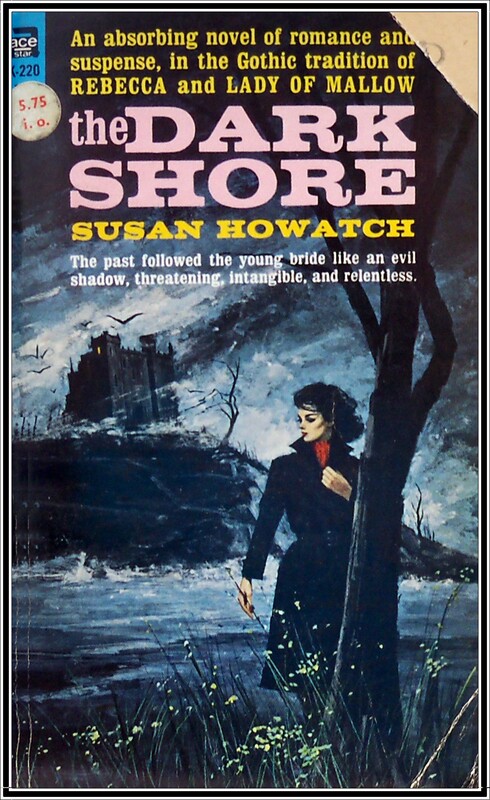 The Dark Shore is a cracking first novel but, like many gothics written during this period, the ‘shocking’ secret when revealed isn’t all that scandalous to the modern reader, so the drama built up in the first part of the book fizzles out with a bit of whimper towards the end. On the plus side, Susan Howatch isn’t afraid to explore the darker side of her character’s natures and she achieves a high degree of depth and complexity within this concise and well-paced murder mystery. Three out of five stars.